Thor and the Asgardians go into deep space in search of the Doomsday Star and the missing Odin. However Loki takes this opportunity to usurp the Throne Eternal. When the Avengers battle the immensely powerful Graviton, butler Jarvis saves the day. Ultron creates an android mate, Jocasta, from the Wasp's lifeforce. The Avengers are menaced by a newly super-powered Count Nefaria and his Lethal Legion. Henry Gyrich is assigned to the Avengers as U.S.government liaison. Spider-Man meets the super skate-boarder, the Rocket Racer. The White Tiger is mistaken for the secret identity of Spider-Man. Rick Jones breaks free of Captain Marvel when the Super-Adaptoid is tricked into switching places with him in the Negative Zone. Warlock returns to Earth space and with the Gardener and Spider-Man repel the Stranger, who desires their Soul Gems. When Thanos attempts to use the Six Soul Gems to extinguish every star in the heavens, he is opposed by Warlock, Captain Marvel, the Avengers, the Thing and Spider-Man. The Fantastic Four face the Agatha Harkness' warlock son Nicholas Scratch and the Salem’s Seven. The Hulk helps a resurfaced Dr. Druid battle the Maha-Yogi (sometimes referred to as "false Merlin"). 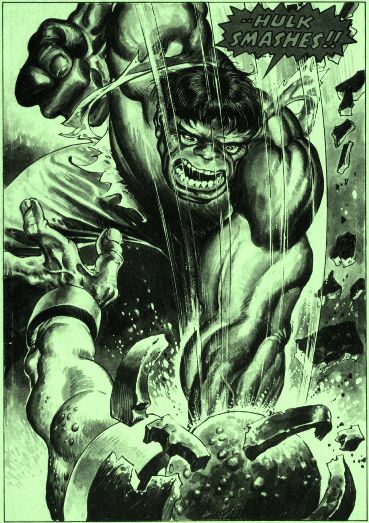 The Jack of Hearts (created when his father was killed by the Corporation) tackles the Hulk. Captain America encounters the twisted geneticist Arnim Zola, who, with the Red Skull, attempts to resurrect Hitler in Cap's body. The X-Men travel to the Shi-ar galaxy to aid Princess Lilandra. They find Cyclops' long-lost father Corsair and his band of rebel Starjammers. After they defeat the Shi-ar Imperial Guard, Phoenix saves the universe by repairing the damaged M’Krann Crystal. After the Star of Capistan changes Dr. Strange into the hypnotic Red Rajah, Hellcat joins the Defenders, while Strange and Luke Cage leave. Moon Knight visits. Valkyrie enrolls in college at Empire State. Nova encounters the 5,000-year old Sphinx and the mysterious Sayge. Iron Man and the Frankenstein monster encounter a victim of Dr. Doom, the Dreadknight. Midas takes control of Stark International, while Tony and Jasper Sitwell fight over Madame Masque. Jack of Hearts partners with Iron Man. Shang-Chi and the MI-6 team are used as pawns in a game between Dr. Doom and the Prime Mover. Iron Fist faces the mutant and former Weapon X agent Sabretooth, followed by a run-in with the X-Men. Iron Fist is also ambushed by a rival from K'un-Lun, the Steel Serpent. Luke Cage meets the vigilante Thunderbolt and the thief, Goldbug. Iron Fist and Luke Cage meet. When Cage is exonerated for his false imprisonment, he works with Nightwing Restorations, but soon forms Heroes for Hire with Iron Fist. Jessica Drew, Spider-Woman surfaces and attacks Nick Fury under orders from HYDRA. Eric Simon Payne, the Devil-Slayer, escapes the Agents of Fortune demon cult and encounters Deathlok who has traveled to 1977 from an alternate future. Deathlok is manipulated into attacking the Thing. Ben Grimm goes to England to look for a way to help the cyborg break free of his mind-control and encounters Shang-Chi. Still in England, the Thing is attacked by HYDRA as well as demons from Merlin's era. Spider-Woman, the Invisible Girl and Modred the Mystic come to his aid. SHIELD agents investigate the Celestials in the ruins of the Incans. Zuras summons Eternals from around the world to assemble the Uni-Mind. Dum Dum Dugan leads SHIELD operations to handle the giant nuclear-born creature Godzilla. The Champions intervene, soon followed by Dr. Demonicus and his own mutated creatures. Dr. Abel Stack creates X-51, Mister Machine/Machine Man, for the US military. The android promptly escapes. Due to her exposure to the Psyche-Magnitron explosion in 1969, Carol Danvers gains super-powers and becomes Ms. Marvel. Ms. Marvel is attacked by the renegade Shi-ar warrior, Deathbird, who is allied with Modok. Darkstar and Black Goliath begin working with the Champions. When the Red Skull attempts to enslave the Earth, Dr. Doom allies with Captain America to stop him. When Doom himself actually does enslave the Earth, Magneto surfaces and enlists the Beast and the Hulk to help him fight Doom's pawns, the Champions. Dracula and Domini's son, Janus, is born on Christmas Eve, despite the best efforts of the Vampire Hunters. Janus is slain by Anton Lupeski, but is then resurrected as an Agent of Heaven. Ulysses Bloodstone battles the giant monster Goram. Bloodstone faces the mysterious Conspiracy group and Sharzan. Howard the Duck becomes possessed by Daimon Hellstrom's "dark side". The twisted evolutionary scientist Dr. Bong turns Howard into a human (temporarily).